Tap on the camera button to bring up the image attachment view, then tap on “Add” to select your photos. After adding your photos, just tap on “Dismiss” to go back to your journal creation view. 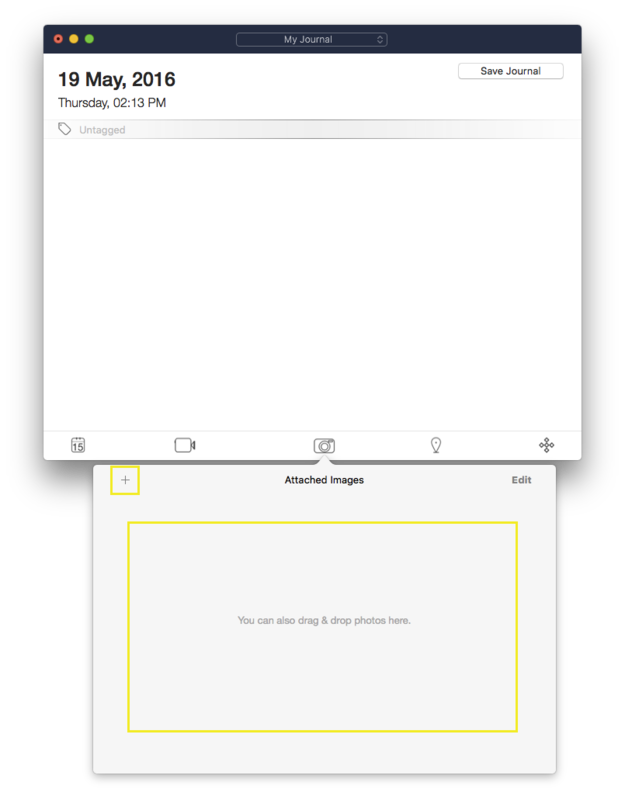 You can add an image file by dragging and dropping into the Attached Images popover or by clicking on the + button. How do I add a new calendar event plan?